Pop culture tells us that in Heaven we will be at a glorified resort – eating, drinking, and doing whatever we want. This is an inferior picture of eternity. In Revelation 22:3, John gives us a greater picture. He gives just a glance, but he reveals what we will be doing for eternity when he writes, “his (God’s) servants will worship him”. This revelation (forgive the pun) might disappoint you. Eternity is more than just “a place of…leisure, but a place where service is done, centring (sic.) on God” (Morris, 256 – 257). Eternity will be spent worshiping God through acts of service. Now, before we look at what it means to serve God, let’s start with what it means to worship him. It’s important to have a complete picture of what it means to worship God. When we say worship, one thing tends to come to mind first – singing. After all, we weekly (bi-monthly?) attend a worship service where we spend a good amount of time singing. Worship pastors (not Josh Strother) tend to latch onto John’s phrase here in Revelation and tell us that we will spend eternity singing…with them leading heavenly choir, no doubt. 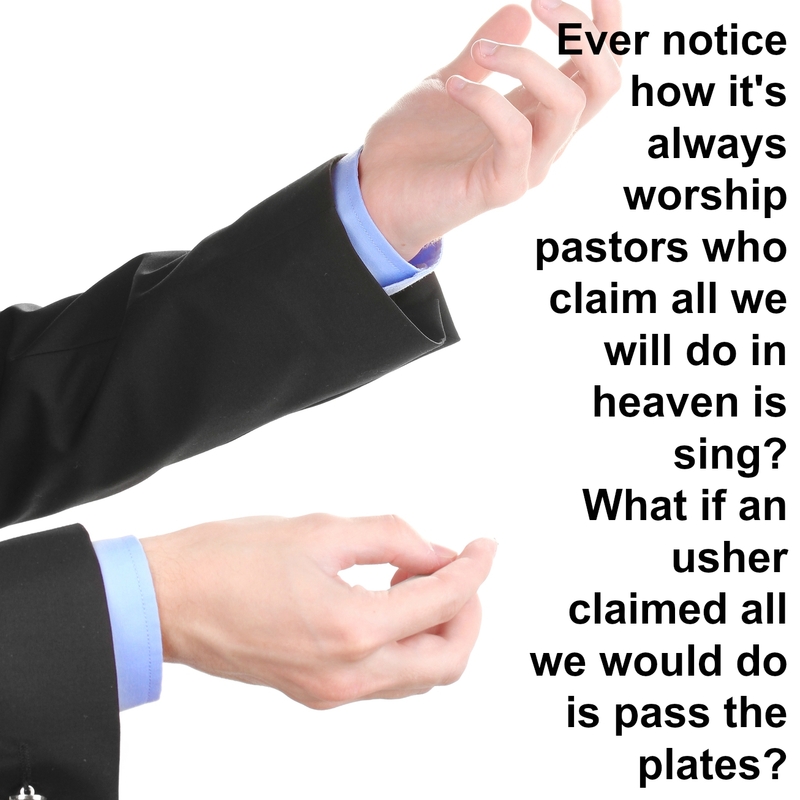 But we don’t only sing in a worship service…we do announcements, we hear a sermon…we pass plates. Could you imagine if it were up to an usher what heaven would look like? Or heaven forbid, the pastor? Instead, worship needs to be understood as something greater than singing (or even what happens in a worship service) – it includes singing, of course, but it is even greater. So not only will we singing – but we will be doing those things that God created us for – he gave us gifts, talents, skills, and more. For eternity, we will be putting those talents to work, serving and glorifying God in the process. Have you ever seen the movie “Scrooged”? It stars Bill Murray and is a modern (well…late 1980s) re-telling of Dicken’s a Christmas Carol. Bill Murray is Ebenezer Scrooge – albeit with a different name. Like Scrooge, he goes through a transformation after meeting the ghosts of Christmas past, present and future. It’s a deeply spiritual movie. It’s the one night when we all act a little nicer. We…we smile a little easier. We…we…share a little more. In the New Heavens and the New Earth, we will be the people we always hoped we would be for all of eternity. We will worship God – in song – but also in serving him by using our gifts, talents, skills, personalities, and more, all the things God gave to us as he knit us in our mother’s womb. I had an interesting lunch a couple weeks ago – it was with a young man (he’s 27), who does the graphic design for Cross Church and some for NRHBC. His name is Justin. Justin has worked on projects for me for about 5 years. We’ve touched on spiritual things here and there. I was never certain of his stance on the faith, but he is talented and inexpensive, so I didn’t mind working with him. For the first time, we spent a few hours together – it was our first real chance to delve into deeper conversation. He moved into an office for the first time and wanted me to come see it (he was most proud of the fact that the shared office space had a keg…). He showed off the office and asked if there was something we could work on together. I’ve been toying with the idea of making our discipleship process easier to understand – and so I started to discuss what it means to be a disciple of Christ, which starts with salvation. I think he realized what I was doing (sharing the gospel) and told me that he really appreciates our church and how we try to make things simple and clear – he spoke of Love Loud – of the phrase Love God and Love Others – and how he’s using that phrase as the epitome of his faith in Christ. Needless to say that this was encouraging. We talked about other things – like adoption and how in regards to both adoption and Love Loud – that Christians – that God’s people – are not just to believe in abstract truth, but to put our faith into action. Our faith is supposed to translate into action. So we believe that we are to Love God and Love Others and this motivates us into serving others – painting a widow’s house, cleaning a creek bed for a community, planting a garden, etc. Similarly, Janet and I are pro-life, pro-adoption, so then we adopt. The simple truth is this: God’s people act on what they believe. In Genesis 50, Joseph is the perfect picture of this. Joseph believed God’s promises to Abraham and Jacob, so he asked for his remains to be returned to Canaan when Israel returns to Canaan. Faith must lead to action. Friday, June 19, 2015 was the 150th anniversary of the Emancipation Proclamation being enforced in Texas. It is celebrated annually as Juneteenth. On the Wednesday before, a young man walked into a church in Charleston, South Carolina and sat through an hour long Bible Study. He remarked that even though he was white and they were all black that they were kind and were very welcoming to him. Then he shot 9 of them leaving at least one alive to act as a witness. About a year ago, our country was witness to chaos and carnage in Ferguson, Missouri. 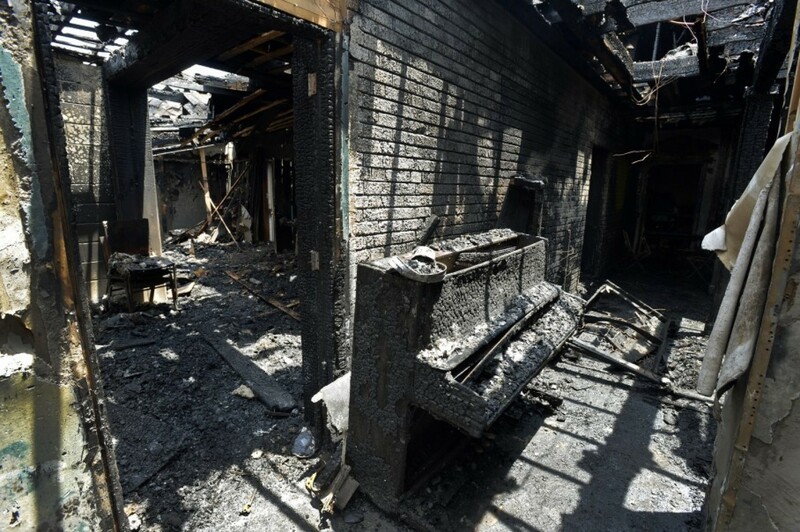 Over the course of a couple weeks at the end of June and beginning of July, several churches burned, most likely at least three by arson. (Read more here.) The burning of churches by arson, whatever the predominant color of the congregation, is the burning of all of our churches. Scott, senior pastor of NRHBC, asked me to take the lead on working with sister churches – of every ilk, black, Hispanic, Asian, etc – in our area to take the lead in our area in racial reconciliation. I had a few conversations but I must confess that I dropped the ball. Our country has a race problem and our church will not stand idly by. We believe that every human was created in God’s image and God equally cherishes everyone. It is time for us to move – to take action. We are a people whose faith motivates us to take action. We will take action. Is Star Lord a Nephilim? When the “Guardians of the Galaxy” came out last year I had no plans to see it. As a kid, I didn’t really read superhero comic books and so the Guardians of the Galaxy were entirely unfamiliar to me. The movie generated quite a bit of buzz – friends (at least they’re friends according to Facebook) raved about the film. 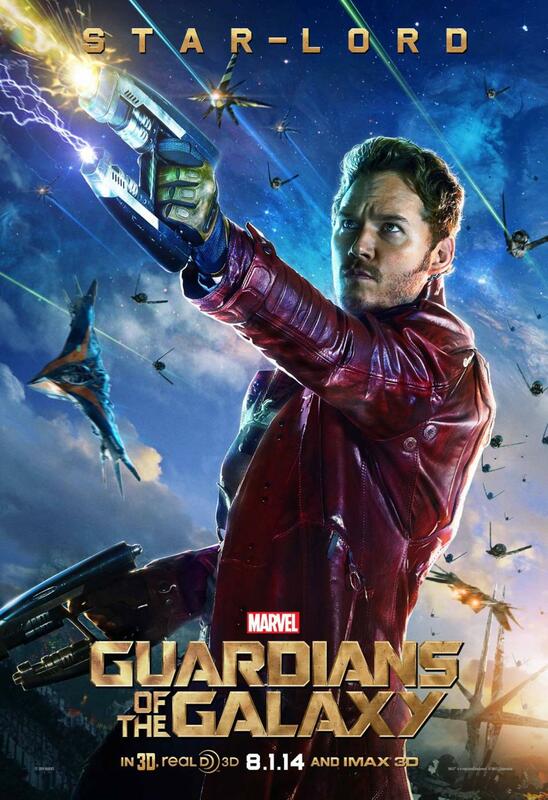 Chris Pratt moved from loveable goofball to studly action hero. Superhero movies are not exactly my love’s thing, so I waited until the movie was at the local dollar theater. Even though Guardians had a great reputation, I was still surprised by how much I enjoyed it. The story of a group of rejects who save the day resonates in our culture. You can discern for yourself the gospel story within. But how this movie relates to the gospel is not the topic of this blog post. Nor how it seems like the authors of the Marvel comics/movies (or DC for that matter) are familiar with the themes of the Christian faith. One moment in the movie that surprised me was when Star Lord/Peter Quill’s mother referred to Peter’s dad as an “angel”. She said that Peter’s dad was a “being of pure light”. That Star Lord’s dad was of an unusual race proved advantageous at the end of the movie. A mom that is a human and a dad that is an angel, might Marvel’s writers be familiar with a certain theological understanding of the Nephilim? Scripture is replete with mysteries. One mystery is the identity of the Nephilim as first described in Genesis 6:1-4. They mystery is who exactly are “the sons of God” as the “daughters of man” seems a bit more obvious. Why did this union create mighty men of renown? One theory is that the sons of men are angels who procreated with women and as a result created giants. This is the interpretation most familiar to me. This interpretation is based on a particular understanding of three passages, Jude 6, 2 Peter 2:4, and Genesis 6:1-4. And Jude in 1:6 writes something very similar to what Peter recorded, “And the angels who did not stay within their own position of authority, but left their proper dwelling, he has kept in eternal chains under gloomy darkness until the judgment of the great day—“. Those who believe that the “Sons of God” in Genesis 6 are Angels use these epistles to support their position. They argue that according to 2 Peter 2:4, the angels “sinned” by procreating with women and were then punished, and continue to be punished, until judgment day. Jude 1:6 offers even more support for their position, they believe, because the phrases “their own position of authority” and “left their proper dwelling” must mean that they left heaven and took women as mates. I don’t agree with this position and have the support of two prominent theologians, R.C. Sproul and Wayne Grudem. There are several problems with the idea that the “sons of God” are angels who procreated with the “daughters of men”. First, to procreate one must have the ability to reproduce. Scripture never indicates that angels reproduce; in other words, that angels make more angels. Jesus, in Matthew 22:30 says that angels do not marry. The next step is to deduce that angels then do not procreate. The second issue is in regards to the image of God. Humanity is unique in its creation in the image of God. This privilege is not shared with any other created being. In who’s image would the descendents of an angel-human offspring be created? Last, there is no plan for redemption for the angels. But redemption from sin is available to humans. God demonstrated his love for humanity in while we were yet sinners, Christ died for us. In addition to being made in God’s image, redemption through the blood of Christ is unique to humanity. So again, what would be the redemption plan for descendents of angels and humans? Is redemption available through Christ for their human part or denied because of their angelic lineage? We can reject the idea that the Nephilim are the result of a union between angel and human because of the inability for angels to reproduce, the uniqueness of humanity as created in God’s image, and the issue of redemption. So then who are the sons of God in Genesis 6? Deuteronomy 14:1 uses the phrase “sons of God” to describe people who are in right relationship with God – as those who are members of God’s people. Theologian Wayne Grudem explains, “the ‘sons of God’ in Genesis 6:2 are men who are righteous in their imitation of the character of their heavenly Father, and the ‘daughters of men’ are the ungodly wives whom they marry” (Systematic Theology, 414). R.C. Sproul makes his case here: “Who Are the Sons of God and Daughters of Men in Genesis 6:1-5?” He contends that the sons of God are the righteous descendents of Seth and the daughters of men are the unrighteous descendents of Cain. As a result, we can faithfully conclude that the ancestry of the Nephilim is more pedestrian than it is Hollywood, and is more human than angelic. The commercials during this year’s Super Bowl broke new ground as a handful were more socially conscious than in years past. The most talked about commercials were not the funniest, nor the most creative, but instead were noted for their message. A confession is in order: I have used the phrase “like a girl” as an insult. While not intending to infer that it is an insult to be a girl, I have nevertheless perpetuated that ridiculous idea. There are two theological problems with the idiocy that being a girl is an insult. The first problem in using “like a girl” as an insult is in regards to humanity as created in the image of God. It should be obvious that Eve was just as much created in God’s image as Adam. Men alone are not created in the image of God. Women too have the honor of being created in the imago dei. Furthermore, there is a sense that while an individual bears God’s image, the fullness of bearing God’s image is something shared by humanity as a whole – men and women. Using “like a girl” as an insult is an insult against the image of God. Men and women are co-heirs to the promises of Christ. Making a mockery of women is making a mockery of the unity we find in Christ. Let’s stop using “like a girl” as though it is something shameful. Instead, we need to remember that it is not an insult to be a co-heir in Christ or to be made in God’s image. While I am pleased with the video, I would like to expound on it. The gospels are replete with accounts of Jesus healing the blind, lame, sick, and etcetera. There are so many examples of healing that the question of “why doesn’t Jesus just go ahead and heal everyone?” – both in his days on the earth and in our days – seems legitimate. However, I don’t think this question is the right question. God does, in fact, heal every day. Think of your smart phone, or car, or house, or…well…anything humans make. None of them are self-healing. But if I have a scrape or a bruise I don’t have to go to the doctor. Our bodies heal scrapes and bruises (if only ACL tears too…). God heals every day through the self-healing bodies that he crafted for us. Another way God heals is through doctors and nurses. God gave them the skills, intelligence, opportunity, and everything else they needed to learn how to heal. The real question from above, then, is not “why doesn’t God heal people?” but “why doesn’t God heal everyone miraculously?”. In the summer of 2014, my father-in-law was diagnosed with non-Hodgkin lymphoma. We prayed diligently. We believed faithfully. So it wasn’t due to a lack of prayer, faith, or spiritual maturity that God didn’t heal my father-in-law miraculously. Instead, God decided to heal him through the treatment of doctors, nurses, hospitals, technicians, and medicine. I tore my ACL and meniscus in September of 2014. Again, God didn’t heal me miraculously. But he did heal my knee through the work of doctors, nurses, hospitals, therapists and the like. According to this verse, the purpose of signs, wanders, and miracles is to provide a witness to God. Not to pad the pocketbook of so-called faith healers. It is by the mystery of his will that people are healed directly and miraculously. When God doesn’t heal someone miraculously it isn’t because he doesn’t love them. It may not be for a lack of prayer or faith either. When you (or a loved one) are sick, trust God’s plans. Know that no matter what happens, God loves you and wants the very best for you. This may result in your miraculous healing. Or it may not. Either way, God heals every day. For much of the beginning of Tolkien’s Lord of the Rings trilogy, Ents are assumed to be mythological creatures – something the people of middle-earth had heard about in nursery rhymes or tall tales but had never seen or heard. Ents, as the young hobbits Pippin and Merry discover, were real and acted as the shepherds of the forest – it was their responsibility to care for the health and welfare of their forest homes and of trees in particular. They were stewards that held dominion over the forests of Tolkien’s universe. Orcs, on the other hand, despised all living things and treated the trees as resources to be exploited rather than cultivated. At Saruman’s command, the orcs destroy significant portions of a forest in order to fuel the machinations of their evil master. Ents are described as tree-like beings that cultivate, shepherd, and steward resources. Orcs are described as revolting creatures that exploit, butcher, and destroy resources. As good teachers are prone to do, Chris examined the scripture and asked a question that reflected keen insight: how is it that sea creatures, beasts, livestock, creeping things and flying birds are able to praise the Lord? After all, these creatures are unable to sing praise songs, they don’t gather for worship, nor are they able to expound upon God’s words. The creatures described in Psalm 148 praise God by fulfilling their created purpose. Birds praise God in their flight, in their song, in their care for hatchlings. In other words, birds praise God by being a bird. Fish praise God by being fish. Cows praise God by being a cow, and so on and so forth. Creatures praise God by doing exactly what they were created to do. Unfortunately, humans have the ability to violate creatures’ created purpose. There is a belief that the dominion granted in this verse grants permission to exploit the resources of the earth. This is an all-too-orcish misunderstanding of dominion. Russell Moore explains that dominion is christ-like when it is expressed through servanthood, not exploitation, “Biblical dominion is not,… ‘pharaoh-like,’ but instead is Christ-like. Jesus, the One who fully restores human nature in his person, does not come to serve his own appetites but to serve others” (576). In following Christ examples, we must shepherd creation. Therefore, we need to cultivate, shepherd, and steward resources well. This issue is not ent-like in the sense that it is not a fairy tale issue. There are contemporary examples of the need for Christians to act upon creation care issues. One contemporary example is found in New Jersey (of all places) in what has been dubbed, “Chris Christie’s Pig Problem“. This article is also helpful in understanding the problem: Christie Vetoes Pig Crate Bill In Controversial Move. “The crates, which are so small that pregnant pigs can’t turn around in them, have been criticized by animal welfare activists as cruel. Pigs can spend years in them, and advocates say they don’t want their use to spread. Humans have the ability to take away creation’s created purpose and thereby deny a creature’s ability to worship. Every Christian should be concerned with creation care since it is one of the first God-given commands to humanity. Ents cultivate, shepherd and steward resources. Orcs exploit, butcher and destroy resources. Which Tolkien creature do you want to be more like? You may be asking yourself, what does it matter since creation is doomed (2 Peter 3 style) anyway? I’m glad you asked – the future of creation will be a blog post in the near future. Moore, Russell D. “Heaven and Nature Sing: How Evangelical Theology Can Inform the Task of Environmental Protection (And Vice Versa),” Journal of the Evangelical Theological Society 57 (September 2014): 571-588. 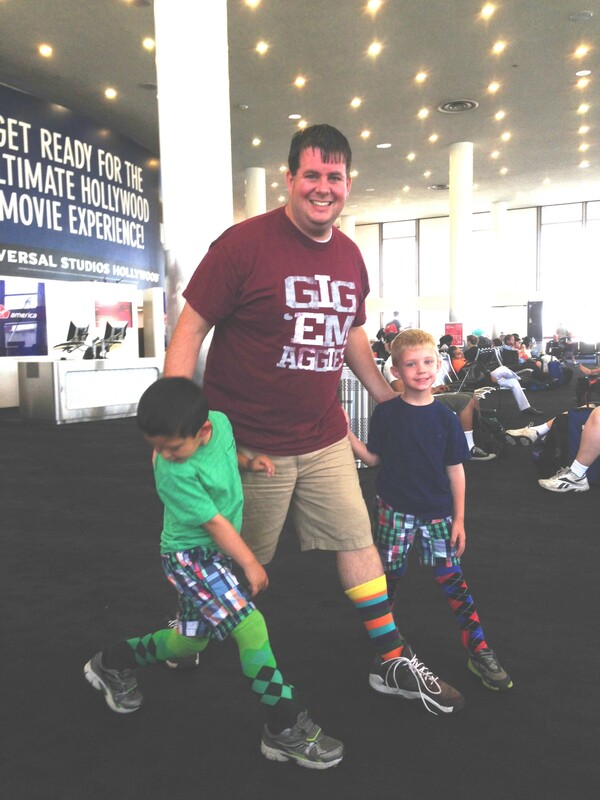 Last week I wrote “Bikinis, Modesty, and the Image of God“, which was a dangerous foray into fashion, particularly women’s fashion, by a man who wears happy socks (see my pic below where I kill time at LAX by putting on a sock fashion show with my boys). This blog post garnered some great response including a few solid critiques. I appreciate the suggestions on how to improve since I am blogging for two reasons: to think deeper on a variety of topics and to become a better writer through the disciplined practice of weekly blogging. One critique was the need for someone to exhort men to treat women with dignity and respect in a culture “where women are disproportionately blamed for men’s sinful actions.” I think this is an excellent idea and is the goal of today’s blog post. Train up your children in the way they should go. In “Bikinis, Modesty, and the Image of God” I made the case that we are responsible to each other regarding modesty. As Paul writes in Galatians 5:13, “You, my brothers and sisters, were called to be free. But do not use your freedom to indulge the flesh; rather, serve one another humbly in love.” In other words, we need to sacrifice freedom in wardrobe choices in order to ensure that we are not the object of another person’s sin. This is not to say that the blame for sin lies with another person. In fact, in dealing with this issue – modesty and sexuality – a persistent problem exists in which we tend to blame the victim. For example, just this past week personal pictures were released online of a whole host of celebs, most of them women. I agree with those who contend that this is not just an invasion of privacy but also a sexual crime. Unfortunately, but not unsurprisingly, people made the comments that the celebs are to blame for taking the pictures in the first place. While I agree that naked selfies are foolish, it is abhorrent to blame the victim. Blaming the victim – or in the case of lust and modesty, blaming the object of desire – is moving the responsibility for sin from the perpetrator to the object of sin. 1) You are responsible for your own sin. Don’t blame the bikini wearer for your lust. Instead, as Paul advocates in 1 Corinthians 9:24-27, discipline yourself against looking and longing. The day after I wrote last week’s post I went with my family to NRH20, a family water park. At this family park were plenty of bikinis. It requires discipline to not look twice. It requires discipline not to lust. Owning your own sin and disciplining yourself against it is one of the callings of the Christian life. It would be much easier to look and blame the victim. But what Jesus tells his disciples is that sin doesn’t originate from outside of us (the object of our desire) but from within. 2) The origination of sin is within us – not from outside. In Matthew 15:1-20, Jesus’s good friends, the Pharisees, call Jesus and his disciples out for not washing their hands before eating. While washing hands before eating has its own (self-evident) value, it is certainly not a sin to neglect to wash one’s hands. Men – you are responsible for your own sin. Fighting desire (in this case lust) requires discipline. However, when we do the opposite – blame a woman for her immodesty – and thereby make her an object of desire we neglect to acknowledge the image of God. 3) Women are (also) made in the image of God. It is a profound and mysterious revelation of God that we are made in his image. It’s not even all that clear what it means. But it is clear that there are two components of being made in the image of God that are pertinent to this discussion: beauty and purity. When we make a woman an object of lust, we violate the image-bearing aspect of her beauty. We must also not forget that purity is a part of being God’s image bearers. In 1 Peter 1, the apostle Peter writes that we must be holy for God is holy. God’s holiness – his unblemished purity – is an expectation of his children. When we make a woman an object of lust, we violate the image-bearing expectation of our purity. Men – you are responsible for your own sin. Fighting desire (in this case lust) requires discipline. By disciplining yourself against lust you will be respecting the image-bearing beauty of women while retaining the image-bearing purity you are called to. By demonstrating modesty and discipline, we will do exactly what we are called to do – sacrificially serve one another. The catalyst for the article was a video in which model/actress/fashion designer, Jessica Rey comments on the effects that bikinis have on the male mind. You can see that powerful and interesting video below. The video concludes her argument for modesty by appealing to the fact that women are made in the image of God – what should be a profound motivator for modesty. Rey, using a Princeton study, makes a case that should already be apparent – that certain types of clothes, in this case bikinis, objectify rather than empower women. Rey is brilliant in that she critiques a common perception, that bikinis empower, offers a counter argument and concludes with a solution. If only we would all follow the same process. Evans, in her article, critiques the two extremes of the messages bombarding Christian women today. She juxtaposes those that would have women dress provocatively, in the name of empowerment, verses those who would have them dress modestly, in the name of well…modesty. Evans makes several great points, including that we are all responsible for our own sin. I don’t get to excuse away my sin. Neither does anyone else. A man (or woman) is responsible for his (or her) own lust – he (or she) doesn’t get to excuse it away. But Evans also makes a couple points that caused concern. Fair or not, part of my concern with Evan’s article is based on her reputation. For example, a few years ago, Evans wrote an unfair and even irresponsible account about her attempts to live a year of biblical womanhood. In this book, Evans demonstrates her willingness to, as Kathy Keller puts it, “pick and choose” what God has to say through the Bible, especially about womanhood. You can read Kathy Keller’s response to Evans book here. I have two concerns with Evan’s article on modesty. First, she attempts to re-define modesty. Second, she does not offer a helpful solution. As stated previously, and more eloquently in Keller’s article, Evans does not have a great history of exegesis, the explanation of a text. Evans tends to exegete a passage with her argument in mind. In other words, she approaches a text backwards – with her argument mind, rather than approaching it to understand the text first. Her exegesis of 1 Timothy 2:9-10, and the term “kosmios” in particular, is an excellent example of exegesis based on her personal bias. Evans argues that “The Greek word translated “modesty” here is kosmios. Derived from kosmos (the universe), it signifies orderliness, self-control and appropriateness. It appears only twice in the New Testament, and interestingly, its second usage refers specifically to men (1 Timothy 3:2). Any time someone introduces a new definition to a long-held orthodox understanding of scripture that claim must be rigorously investigated. Furthermore, being a bit of a Greek nerd, I was interested in her definition of the term, “kosmios”. So I decided to look “kosmios” up in my Greek-English dictionaries, of which I have a few. Having looked up the term in several lexicons, I turned to checking to see how the different translations define “kosmios”. Shockingly, according to a side-by-side comparison on Biblehub.com that uses 21 different versions of the Bible, each one translated kosmios as “modest.” For any student of the Bible, any time multiple versions translate a term in the same fashion (let alone 21 of them), one can be confident that they have translated the term correctly. Evans argues that the term is mistranslated and therefore misunderstood. An argument that falls flat with just a bit of reasonable exegesis. What Evans seems to argue for here is that a Christian does not need to concern himself or herself with whether or not their choice in clothes will cause another to stumble. This is an irresponsible and unhelpful solution to the modesty/immodesty debate. The problem is that we, as Christians, are responsible to one another. We are called to love one another (1 John 4:7) and to serve one another (Matthew 20:26-28). While we are responsible for our own sin, we are also responsible to ensure that we serve one another humbly in love. 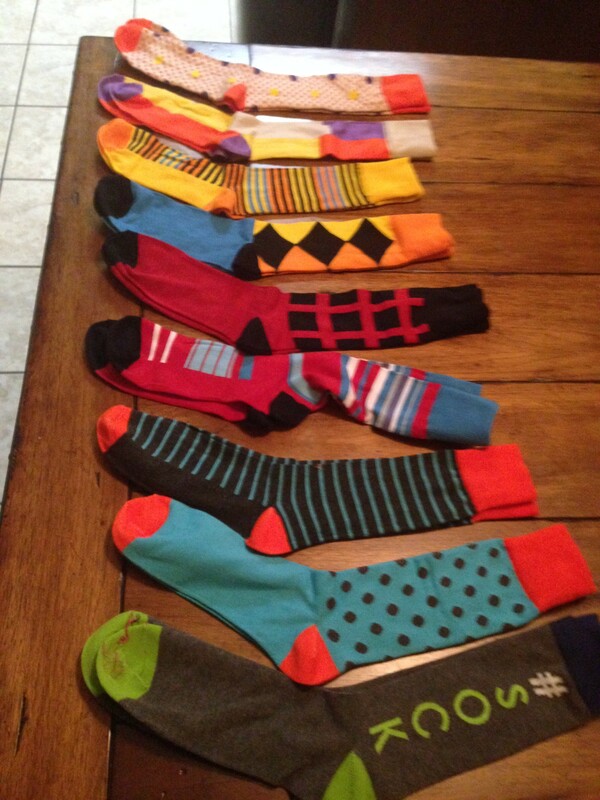 Even when we make wardrobe choices, we are responsible to ensure that we sacrificially love and serve one another. Heaven is more popular than usual these days. Perhaps we should thank Todd and Preston Burpo for the hype. It’s amazing that all it takes to make Heaven popular is the account of a little boy…with a little help from Hollywood. With all the talk on Heaven, a common misperception has come to the forefront – that the eternal destiny for those in Christ is Heaven. In Surprised by Hope, NT Wright reflects that “I often find that though Christians still use the word resurrection, they treat it as a synonym for ‘life after death’ or ‘going to heaven’ and that, when passed, they often share the confusion of the wider world on the subject” (xii). Contrary to the hymn referenced above, (shocking, I know that a hymn has bad theology – I thought that only praise songs were guilty) the eternal destiny of those in Christ will not be, in fact, in Heaven. Not hanging on clouds. Not strumming harps. Not as disembodied souls or as stupid-y cupid-y archers. The reality is that our eternal destination is a physical one on this planet. As Wright explains, “God’s future inheritance: the incorruptible new world and the new bodies that are to inhabit that world, are already kept safe, waiting for us, not so that we can go into heaven and put them on there but so that they can be brought to birth in this world or rather in the new heavens and new earth, the renewed world…” (152). We will live with God on a renewed earth. So what? What’s the problem with this misperception? One problem is that many Christians have abandon our God-given responsibility (in Genesis 1:28) to steward and cultivate the earth. Because the emphasis is on eternal life in Heaven, the thought that any time, energy, resources, etc. spent on stewarding or cultivating this earth is a waste of time. Instead of concerning ourselves with issues of justice, cultural creation or creation-stewardship, as the reasoning of this misperception goes, we need to spend all our time focused on building bigger and better churches. As a result, we have largely outsourced the responsibility to steward and cultivate God’s creation to those who may not share our belief in a creator God. A confession is in order – I consistently find myself using the phrase “eternal life in heaven” that while it is contextual to our society, is not correct. Jesus offers us eternal life with him. Here. On the earth. Another confession is in order – I don’t entirely understand what it means to steward and cultivate. I recycle. I also drive a gas guzzler. My understanding of this responsibility is incomplete. Not only do we need to do a better job with our semantics – the words we use – by explaining that our eternal life is with Christ on a renewed earth. We must also participate in our responsibility to steward & cultivate – as well as the time spent in evangelism. Christians can’t neglect, ignore or outsource this responsibility to others. Wright sums it up well: “God’s recreation of his wonderful world, which began with the resurrection of Jesus and continues mysteriously as God’s people live in the risen Christ and in the power of his Spirit, means that (what) we do in Christ and by the Spirit in the present is not wasted. It will last all the way into God’s new world” (208-209).